Our premium range of M-LINK receivers: 16-channel MULTIPLEX 2.4 GHz units for the demanding modeller. These receivers feature two complete receiving circuits operating in parallel (receiver diversity). In conjunction with a special signal amplification circuit this ensures very high sensitivity, excellent reception quality and maximum effective system range. 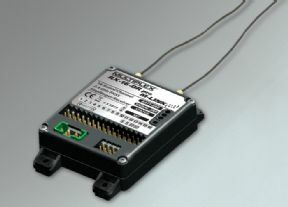 All three receivers feature replaceable aerials; fitting aerials of different length enables the user to deploy the aerials efficiently in any model. The aerial connectors are fitted with high-quality gold-plated contacts. 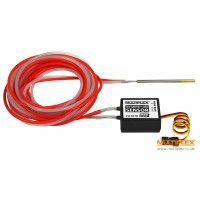 The receivers also feature a MULTIPLEX M6 high-current connector which provides a reliable connection for the receiver power supply; an external high-power supply unit is not required. Another interesting feature is individual protection for each servo socket against overload and short-circuit; this ensures that the power supply to the rest of the system is not adversely affected if a fault occurs in one component, such as a defective servo. Yet another special feature is the cable securing clip. This can be fitted to the case when required, and protects all cables from working loose accidentally. Highly recommended for models where vibration is a serious problem! Please drop us a line to be added and get the latest news! Join our MPX Facebook page for the latest news! 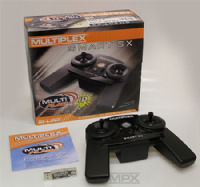 Check out our MULTIPLEX forum here! 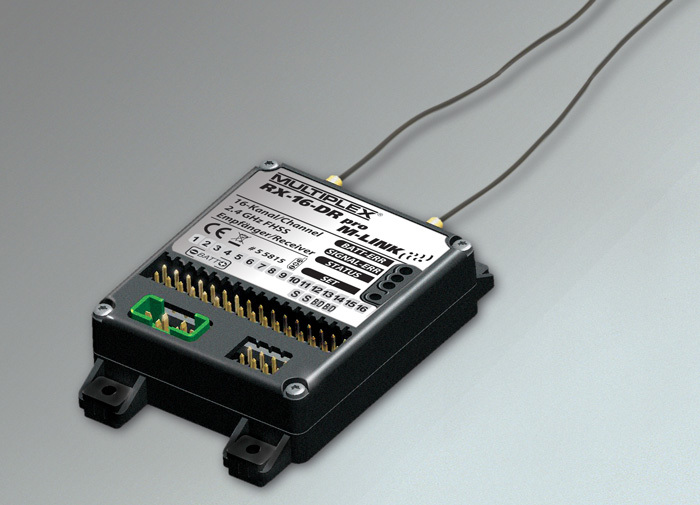 Programmable Stabilisation System that works with all other radios too! The cheapest way to learn! And MULTI Flight Stick now available too! NEW - PROFI Tx Manual here! To pay by card, please call us on +44(0)792 1166645 between 9am and 6pm GMT. Outside these hours please leave a message and we'll call back.